The unique Vz.58 M.A.R.S. 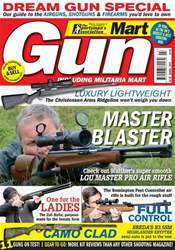 rifle and the Accuracy International AX 308 are two of the great firearms in our 12 gun tests. 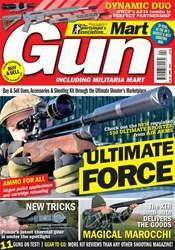 Also under review we have the new Air Arms HFT500 pcp air rifle, the BSA R10 Mk2 Super Carbine, Crosman Phantom II break-barrel air rifle and Webley’s Stingray Mk2. 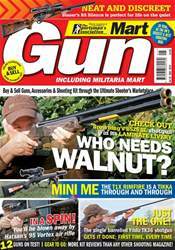 Our shotgun section features the Sabatti Alpen Eagle 12g, the 20g version of the Browning 725 Hunter and the Baikal 27EM-M-IC. 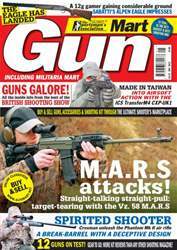 If that wasn’t enough we also have all our usual kit reviews plus two special reports from the British Shooting Show 2015, airsoft gun and gear tests, and the Militaria Mart section which this month features a straight pull version of the classic US M1 Garand rifle.